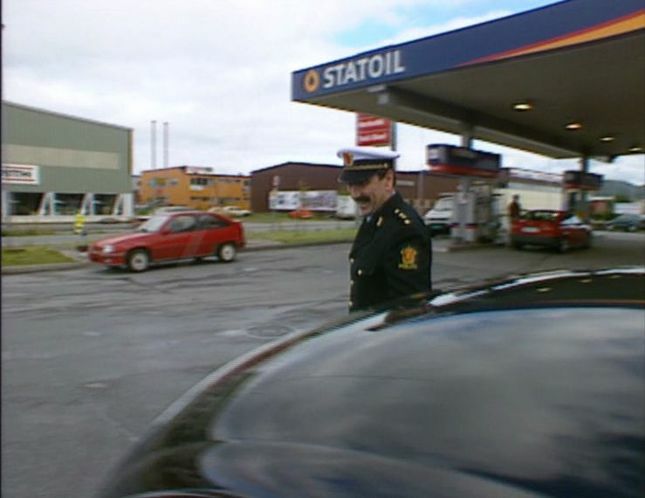 IMCDb.org: 1985 Opel Kadett GSi [E] in "Pelle politibil, 1993-1997"
Hmmm, not really convincing. Maybe only a selfmade wannabe. From this distance quite convincing has everything what GSi, except wheel covers maybe.